Since cost of living varies from place to place, we have a map that breaks it all down for you to make the best decision when deciding where to locate your physician career. To read more click here. Interactive - How far will my physician salary will go in another city? 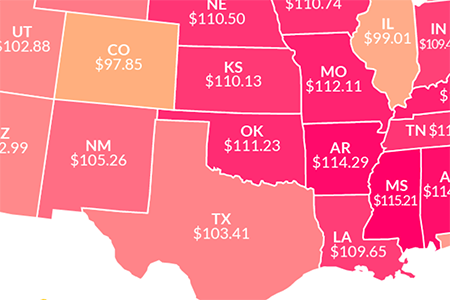 On this interactive page one can compare the difference a dollar is worth between two states.It even breaks down housing, groceries, transportation, etc. click here.